It's good to see you - pull up a chair and join us for the first season of the Hearthstone Campus Clash! This tournament uses a unique 3v3 format where you and two other students from your university play in collaboration to win the wooden trophy. We encourage students of all skill levels across the UK to get involved. Multiple teams from the same university are welcome and we'll do our utmost to find opponents of a similar skill level to you. The final tournament format and schedule will be announced when signups close. Once you've registered an account on the NUEL and verified your student status, you can either create your own team or join an existing one from your university. Team registration does not close once the tournament starts, you're free to join throughout the season. Teams can add new players and edit their roster throughout the tournament. Teams must submit 4 classes to play by 6:30pm to check in or they will not be entered into that night's games. Teams need to submit 4 decks from unique classes, and may only use the 4 submitted decks that night. Both Teams get one deck ban at the start of each b05 round. Teams have 10 minutes to start first game after the scheduled start time for that round. Either player may create the game and invite their opponent. Games are Bo5 conquest. This means Teams keep playing until someone has got wins with both decks. Screenshots must be taken after each game. These will be used to resolve disputes. Results should be submitted by both teams after each round using the companion. The tournament consists of two (2) best of five (bo5) Conquest matches a night where teammates all collectively play from one account against an opposing University. Teams will bring 4 Decks and have one banned by the opposing team of players. The week on week format will be announced during signups to best accommodate for the teams wishing to play! 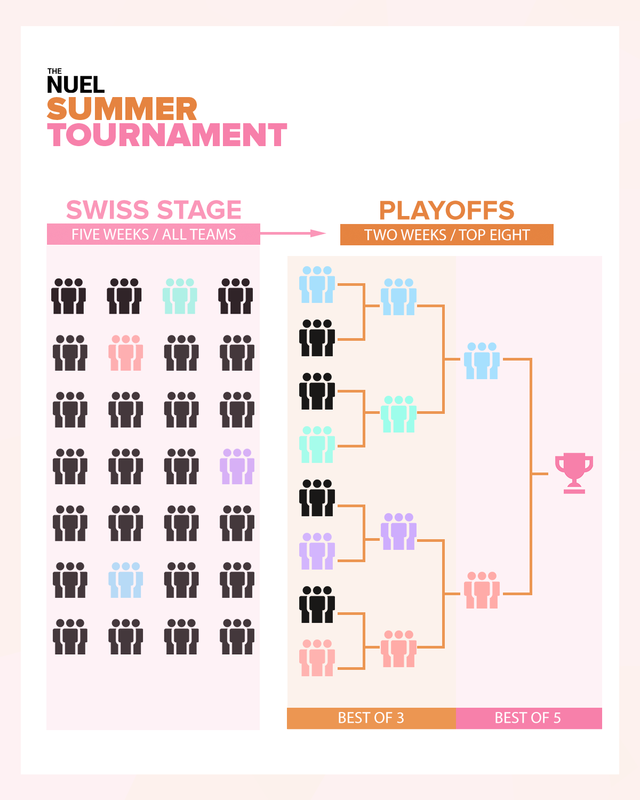 The format will move into a Single Elimination Bracket with the top eight (8) with a Best-Of-Five (Bo5) Conquest Format for 3 weeks into the Grand Final for the top two teams!